A recent small change in the Decred (DCR) protocol has apparently resulted in the old GPU miners not being able to mine anymore, so an update is required in order to continue mining DRC coins. 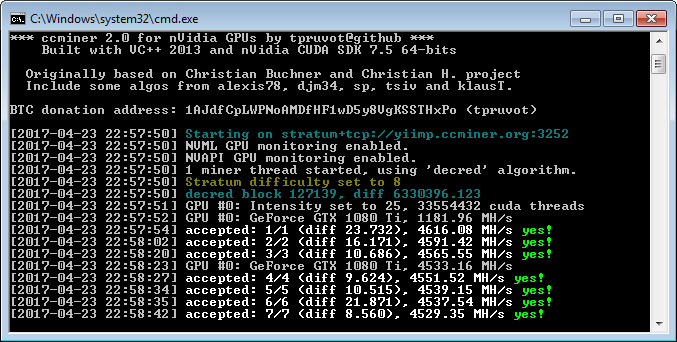 There is already an updated version of ccMiner 2.0 RC3 from Tpruvot for Nvidia GPUs as well as the Nicehash fork of sgminer version 5.6.1 for AMD GPUs. 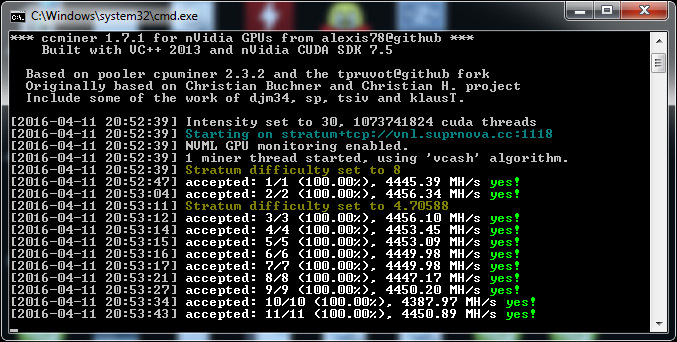 So if you are mining Decred (DCR) and want to be able toc ontinue mining it make sure you update your mining software. Alexis Provos has updated his fork of ccMiner (source) with improved performance for mining Vcash and Decred Blake256-based crypto coins and we have compiled a Windows binary to try it out. 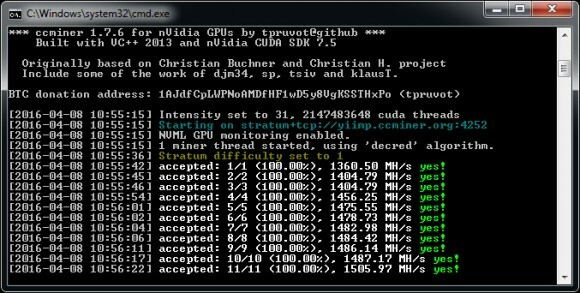 His latest release brings the same performance or even a slightly higher for Vcash (former Vanillacoin) as the specially optimized CUDA 6.5 Compute 3.5 release of ccMiner using the latest CUDA 7.5 and the Compute version supported by the specific GPU you have. 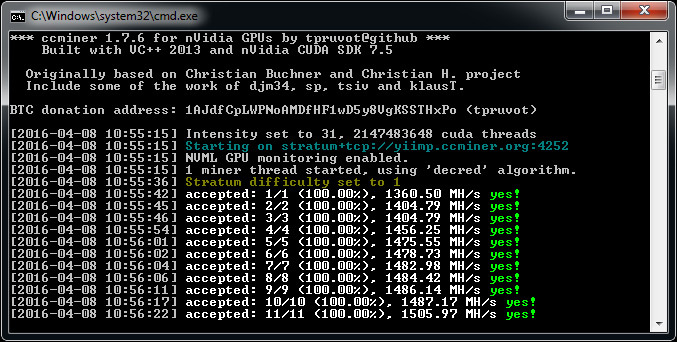 The Decred (DCR) hashrate is also higher when compared to the latest tpruvot release that includes the optimizations submitted by pallas. Below you can find a quick comparison of the hashrate you can expect from this release on GTX 980 Ti, the archive below includes a 32-bit and 64-bit binaries compiled with CUDA 7.5 and VS2013 for Compute 2.0 – Compute 5.2 GPUs, though we have not tested how it handles on older GPUs.